Vecoplan industrial paper shredders are the leading technology in the document destruction industry, the printing industry and the paper recycling industry. Vecoplan single-shaft rotary shredders feature low speed, high torque, low noise processing of paper, cardboard, plastics, and a variety of other materials. Fed vertically via a hopper positioned above the cutting chamber, you simply dump material into the hopper, push a button and walk away. With continuous feed commercial shredders, material can also be fed into the hopper continuously with an inclined conveyor. A heavy-duty industrial screen fits snuggly around the cutting rotor and determines the particle output size. Vecoplan screens are offered with a variety of hole sizes from 3/8” to 3”. Quick & easy to change, these inexpensive screens allow you to not only control but also change output particle size as needed for specific applications. A Vecoplan industrial document shredder features a low speed, low noise and high torque design that maximizes throughput. Vecoplan designs, engineers, manufactures, installs, provides start-up, and training, on a comprehensive line of waste paper recycling machines and turnkey paper shredding systems. Vecoplan industrial paper shredders and systems are field proven in multiple industries, thousands of companies, and decades of service. Vecoplan also offers ongoing parts & service on all of their machinery and equipment. 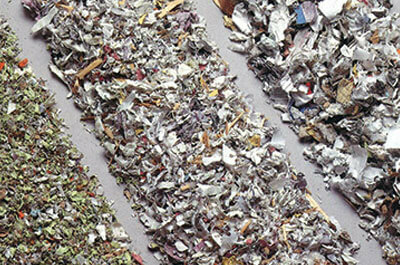 Contact Vecoplan and take advantage of their unequaled experience in industrial paper shredding technologies. Vecoplan has over 45 years of experience designing and installing complete turnkey shredding systems including tippers, sorting conveyors, feed systems, balers, and Vecoplan's exclusive TUCS™ Truck Unloading Containment System. Data protection demands special measures. . . especially in the reduction of records, securities or archive materials containing personal data. If proper measures are not taken, it could lead to dire consequences. 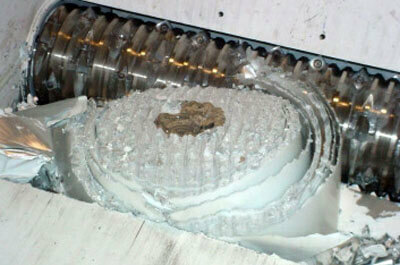 Obviously, this material has to be destroyed securely, safely and confidentially. 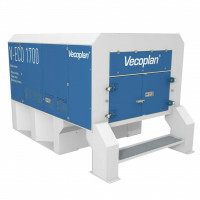 Vecoplan offers the ideal solution in the form of Vecoplan secure destruction shredders and turnkey shredding systems. 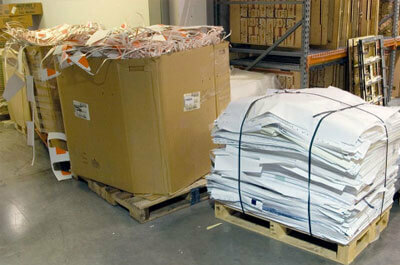 The document destruction industry turns to Vecoplan for total secure shredding solutions. Large, small or somewhere in between, Vecoplan plant based shredders deliver secure “cross-cut” consistency in a single pass. In fact, since you determine the output particle size, you can change it to meet the changing levels of security required by your evolving customer base. And Vecoplan shredders are truly industrial strength shredders - easilly shredding paper, cardboard, full banker’s boxes, 3-ring binders, credit cards, CDs, DVDs, film, hard drives, counterfeit products, textiles, wood, etc. 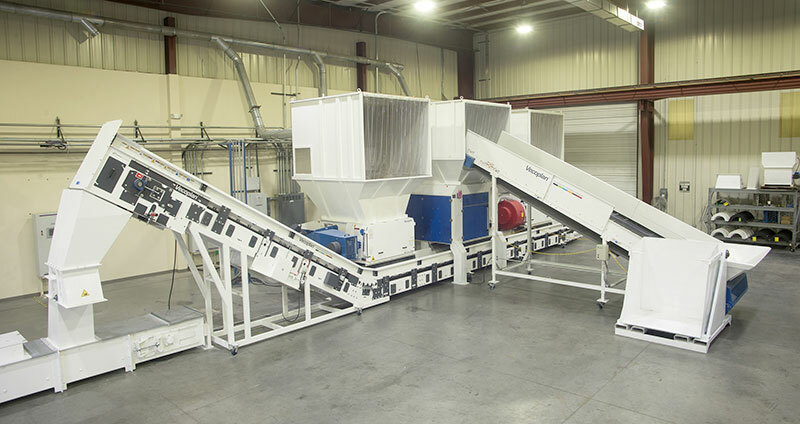 Vecoplan also provides complete plant-based shredding systems, with in-feed tippers or conveyors, in-feed hoppers, the shredder of course, out-feed conveyors, dust collection, and balers. The paper recycling industry takes advantage of the same features and benefits incorporated into Vecoplan shredders and systems. All of the things that make Vecoplan shredders perfect for the document destruction and printing industries also apply to general paper processing and recycling. Plus, since Vecoplan shredders process such a wide variety of materials they can be, and are, used to recycle plastics and other valuable waste commodities. If you’re already recycling multiple materials, you can use one machine. If you’re only recycling paper, a Vecoplan shredder gives you the option to expand into other markets without having to invest in additional equipment.